The best natural hair products are made with organic ingredients, such as essential oils, chemical free and not tested with animals. They will balance your scalp, fight dryness, frizz, hair fall, whitening, dandruff and encouraging new hair growth while giving the hair a healthy shine, strength, volume and bounce. We need to understand that hair is made of keratin, just like our fingernails. As keratin is not living tissue, we can easily damage our hair, just like we can break a nail. Therefore proper hair care starts at hair root or shaft. Proper hair care doesn’t only include a right shampoo and conditioner and a hair oil for deep conditioning. It requires the same attention and rituals you are devoting for your skin. Besides proper chemical free products, a correct way of washing, drying, combing, styling and protecting your hair from daily damage is essential for healthy and shiny hair.It even sometime requires chances to ones diet in order to correct a particular hair or scalp related problem. Curly hair requires special care, as the curls often become dull, heavy and unruly. It requires products that are gentle enough for daily washing. People with curly hair also often have a build up of dandruff in the scalp caused by the use of chemical laden, over the counter styling products to keep the curls at bay. Long straight hair also often suffers from dryness and split ends, as does afro-textured hair, especially if it’s braided. This all natural ayurvedic hair care set is absolutely amazing for rejuvenating dry and damaged hair. It is also effective against dandruff, hair fall and premature greying. All these gentle products are also uniquely suited for people with curly hair, which is prone for frizz and split ends. This amazing formula penetrates the hair shaft and strengthens the roots while nourishing the scalp. It cleanses the hair, but does not strip it from the natural oils hair is producing like some commercial products do, causing hair breakage. Root nourishing aloe vera shampoo is gentle enough for daily use. This shampoo combination of herbs, each with their own amazing properties and have been used for centuries in India to nourishing hair care. Wheat Germ – powerful antioxidant protects the hair from pollution, harmful UV, heat and chemical damage. Soy Lecithin – Softens the hair by reducing dryness and brittleness. Repairs damage providing nutrients essential for healthy hair growth. Hibiscus – Darkens the hair colour naturally, preventing premature greying. 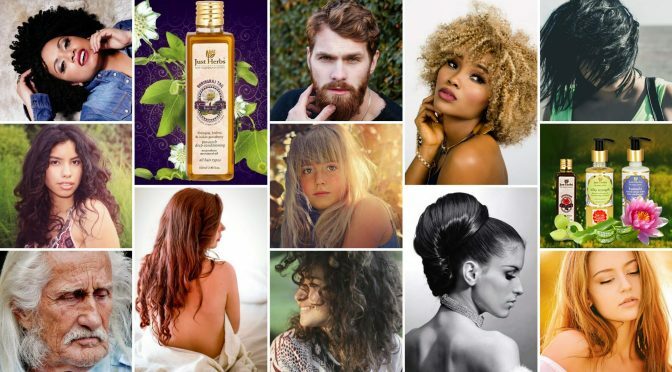 Vetiver – Prevents split ends and hair breakage. A conditioner bought in drugs store might provide a smoothing effect, how ever most of them contain silicone, which makes your hair greasy by causing build-up in strands. Amla (Indian Gooseberry), Hibiscus, Vihitaka and Bhringraj are known for centuries for stimulating hair growth and promoting healthy hair. Fenugreek in return helps to fight hair thinning and fall. Kumuda (Indian white waterlily) besides giving this conditioner a wonderful fragrance, it adds elasticity, body and volume to brittle hair. Javakusum is a non-sticky potent hair tonic for every day use. The unique blend of herbs provides nourishment for the hair. Application of this oil to the scalp prevents build up of dandruff, helps against hair fall, hair breakage and premature greying. Henna conditions the hair while indico, amla and hibiscus help to bring out the natural colour or the hair. Blonde hair is often naturally more oily than dark hair. Some illnesses such as Graves and thyroid disease and some hormonal imbalances cause the hair to become brittle. Most children have a fine and brittle hair until the reach the school age, some all the way into their teens. Elderly people’s hair also tends to get this way after it has gotten grey or white. Brittle and fine hair requires particular care, strengthening its structure, as it’s prone for breakage and hair fall. Greasy or oily hair is caused by excessive production of oils in the scalp and is one of the possible cause for dandruff. It can be genetic or caused by overuse of silicone based conditioners and excessive washing and use of chemicals. Oily hair in return requires balancing out the oils build-up of the scalp with products that are gentle enough for daily washing. 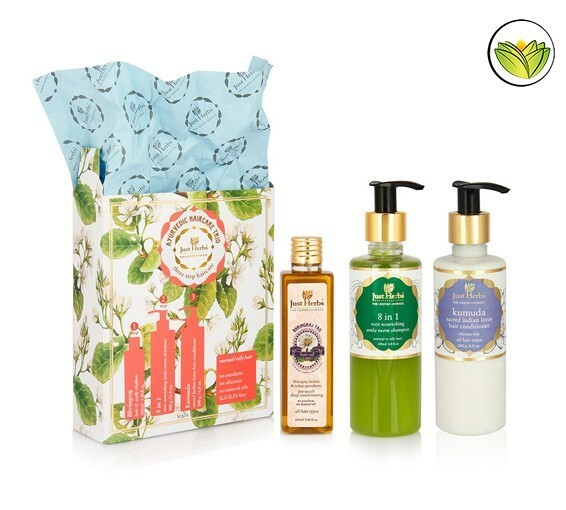 This amazing all natural ayurvedic hair care trio is ideal for oily and brittle hair. It is also effective against hair fall and premature greying. All of these products are also uniquely suited for both children’s and elderly people’s brittle hair. They are gentle and their unique compounds provide the hair with much needed strength. This unique formula penetrates the hair shaft and strengthens the roots while nourishing the scalp. It cleanses the hair, but does not strip it from the natural oils hair is producing like some commercial products do, causing hair breakage. Root nourishing amla henna shampoo is gentle enough for daily use. 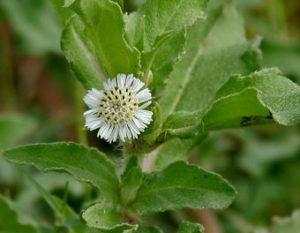 Methi Seed Extract – Conditions the hair roots preventing hair fall. This ancient therapeutic herb combination invigorates and revitalise the scalp stimulating the hair follicles, hence encouraging hair growth. Using this oil hot as a deep conditioning treatment for the scalp and the hair ends, it treat dandruff, prevents hair fall and delays premature greying. ayurvedic bhringraj tail oil makes hair naturally luminous and shiny. The main active ingredient is essential oil made from bhringraj plant. 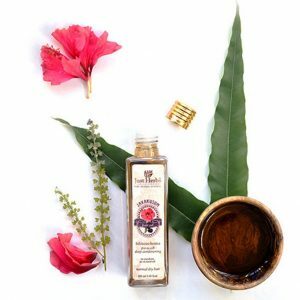 This classic ayurvedic oil is being used besides for beauty, also for more serious conditions, such as ring worm of the scalp, folliculitis and migraines. Make time to care for your hair, no product, doesn’t matter from which amazing ingredients it consists of, will compensate for abuse by excessive styling and chemical products we use on our hair, pollution, UV, sea water, chlorine we get exposed by the environment. You need to nourish the hair from inside as well. I have written an article about hair care in general, which I encourage you to read to learn more. You mentioned that the hair oils helped you to regrow your hair after cancer. I have stopped chemo treatments few months ago and hoping to have my hair back as soon as possible. Can you please contact me privately about this, I would like some specific advice for bold spots. These products look great! Do you have any idea if they are suitable for coloured hair? My hair is very dry. Yes, these products are suitable for coloured hair. I would suggest that you get the hair care trio for dry hair. These look fantastic. I was wondering if the oil will make my hair even more greasy that it already is? I have a really fine straight hair. both hair oils are non-grease, I would suggest that you get the hair care trio for normal to oily hair. Hi Ronaldo, I’m happy that you like the ayrvedic products I review, they are all made from pure ingredients and have a large range of benefits. It’s great to hear than men also use these skin care products! Take a look at the Tender Touch Body Radiance Oil, I use it myself and absolutely love it. Hi, my wife is complaining about her hair all the time so I have decided to do something about it for her birthday which is fast approaching! When we were in Penang recently she said her hair was all soft unlike when we are in Kuala Lumpur. I said that was probably due to the water but does this sound right? That’s what I heard anyway, that different water has a different effect? If this is the case, which hair treatment would you recommend for harder water? (if that’s what it is) I’m leaning towards the 8 in 1 nourishing Amla Henna shampoo because it has Soy Lecithin which softens the hair. Hi Craig, quality of the water is definately a factor in how the hair reacts to the shampoo that’s used. It would in fact best to wash the hair with rain or lake water. I of course realize it’s not alway possible! I would indeed suggest the hair care trio for dry hair it will certainly help with hard water and nourishing her hair by balancing her scalp. I saw this on reddit and took a leap of faith ordering the sey for dry hair 2 weeks ago. Delivery took only 3 days to Belgium. I have to say I wasn’t expecting such amazing products. They make my frizzy curls tiday again and smell simply gorgeous! Thank you. Hi Lena, happy to hear that my blog was featured on reddit! I am the hair care trio for dry hair for exactly same reason! It makes my red and curly hair look more presentable. The aromatherapy effect of the herbs is so wonderful. I saw your commercial on reddit and it drew my attention because the products are not tested with animals. I have two young girls who have inherited my red and curly hair. Will the same products be usable for all of us? I have just received my products a week ago and wanted to let you know that I’m absolutely in love with them. They smell gorgeous and make my hair which is really frizzy really smooth and silky. My hair has also gotten a really nice shine. Thank you so much for your feedback! I love them myself for the exactly same reasons. The natural smell of flowers never fail to lift my moods. How is this different from the hair oils the bug brands sell? Just curious as it’s twice as expensive as the L’oreal hot oil I’m using to deep condition my hair. Hi Julie, thank you for your question! Most supermarket brands, such as L’Oreal use mineral oils, sulphates and silicone in their products. While they might seem to have a positive effect in the beginning, on the long term they damage the hair as they fail to nourish the scalp and hair follicles! Thank you for writing this helpful article! I am just starting to get into natural hair care and I really love all of the products you listed. I have naturally curly hair that has become quite dry due to lots of styling. I think I can greatly benefit from the Ayurvedic Hair Care Trio to strengthen my hair and make it less susceptible to breaking/falling out. Looking forward to getting this! Hi Audrey. Glad my article provided you with the info you were looking for! Naturally curly hair tends to get easily dry and styling definitely doesn’t help. 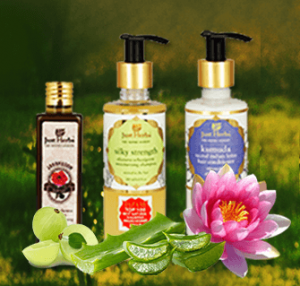 The ayurvedic hair care trio for dry hair will help you both with the dryness and the hair fall. Let me know if you have any questions I can help you with. I have learned a lot from your post on hair maintenance. I didn’t realize that there are so many products to enhance the development of hair and the colour. I have one problem with my hair, it’s short and hard. When it grows long enough, it turns out brown in color. I still have some grey hair too and I don’t like this look so in the past I’ve tried to apply black dyes that only last for like two weeks then they fade. I wonder if you know any permanent treatment so that I don’t keep on redoing it every now and then? Any assistance is highly appreciated. Hi Paul, I am happy you learned something about hair maintenance from my article! Javakusum oil is really excellent for darkening your hair. I recommend using it every night, rubbing into the scalp and the rest of the hair, leaving the oil in and washing it the next morning. Both amla and henna will considerably darken the hair. The effect will be enhanced if you use the aloe vera and wheatgerm shampoo and conditioner for the dry hair. Hello there, I was wondering if this shampoo and conditioner could help me out? I have a softball size area on the side of my head where the hair grows but it is like as thin as babies hair. I had radiation treatments in the area about a decade ago and it hasn’t grown back right ever since. Any suggestions for a different product line if you don’t think this will do the trick? Hi David, I am also a cancer survivor, so I know this feeling. The hair care trio for dry hair can greatly benefit you. I would recommend you use the Javakusum oil, every second day. Rub 2 palm fulls into your hair in the evening and wash out next morning. I saw this add on Facebook and have to say it’s the best article about best natural hair products I have ever seen. Explains the different problems and ingredients. Can’t wait to read about your hair care tips! Hi Katie, I am happy you saw my Facebook add, it was something I tried to see if it would help me to reach out to more people. Great that you like my article, I think it’s important to be thorough and explain what the products contain and what my experience with them is. I will let you know when my article about general hair care tips is ready. Is this shampoo sulphate free? I cannot stand the idea of using them. I’m also very allergic. Have these products been allergy tested? Is the shampoo going to make my kids eyes tear? Sorry for so many questions, but I’m picky with products I use! Hi Nina, happy you read this article too. These products are sulphate free and because they only contain natural products, they shouldn’t cause any allergic reaction if you are sensitive for chemicals. The Amla shampoo is very mild and should not cause tearing in kids. I totally understand the questions, I am also very picky about what I use! I’m happy that I started browsing more of your website and its great content! There is so much good info here. I’m in love with Just Herbs products, but find it hard to get them outside India. I will try to order from this company you mention, they also seem a really good price compared to Just Herbs own online shop, which charges tax and high delivery charges. Hi again Mira! I’m happy that someone with Indian heritage agrees with the information in my blog. Just Herbs products really are amazing, I’m happy to have found a company who successfully exports them from India and doesn’t have a supply problem. Sometimes re sellers have better conditions than the producer, which is the case here! hello there 🙂 I have to say that I love your products:). I have blonde long and dry hair and I think the Aurvedic hair care trio will be very good for me. I will give it a try but I have to ask you something. 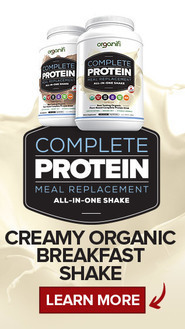 Is it necessary to use the three products together? I ask this because I don’t like to feel my hair heavy. And another think. I dye my hair. 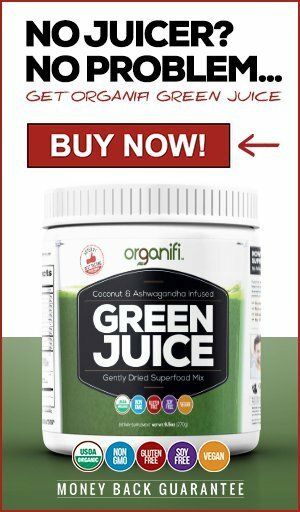 Do these products help? Hi Christina. I am happy you find the products I promote in my article interesting. It’s difficult to find all natural, chemical free hair care products and even harder to find affordable ones. It’s not necessary to use all the products together, but I would still recommend the oil. Just use it at night time and then wash your hair in the morning, it will not cause any heaviness. These products are gentle enough for dyed hair, no problems. I would recommend for you to use the products for dry hair. Thanks for the post, I have some more ideas to try now! I’ve been trying to find the right sulfate and paraben free shampoo for awhile, to varying degrees of success. My hair tends to be dry at the ends and gets greasy by the scalp, and unfortunately thins during periods of stress. Do you have any thoughts on what might be best for me to try? thanks! Hi Penelope. Its difficult to find a good natural and chemical free products.I think the Javakusum oil will help to solve the problem with your scalp. It will also help with the dry hair and split ends. Happy you enjoyed my review! I would recommend the products for oily hair, especially the Bhringraj Tail Hair Oil. These products will for sure help you to balance out your scalp and tend for the dryness of the hair caused by the brittleness and heat from the hot rollers. Love this amazing review. All just herbs products are amazing. On top of being completely natural and not tested with animals, they smell incredibly good. I already have the Javakusum oil and ordered the shampoo. I can’t wait to wasm my hair with this. I have no doubt that these are the best natural hair products out there. Benefits of aloe vera, wheat germs and soy lecithin are well known in the whole beauty industry. Thank you for the roses. It’s easy to review these products since they are really rather amazing. The aromatherapy effect is one of the important benefits of pure ayurvedic products. They simply aim to satisfy as many sense a possible. You are right about beauty industry becoming obsessed with the benefits of natural ingredients, such as aloe vera, wheat germs and soy lecithin.